Armor threat hunting is exactly what it sounds like: We hunt cyberthreats. 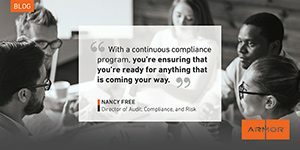 To ensure our clients’ data is secure, the threat resistance unit (TRU) of our security operations center (SOC) actively searches and scans your network and hosts for indications that they have been compromised, while seeking threat intelligence on new and emerging cyberthreats from external sources. Most security-as-a-service (SECaaS) companies don’t have threat hunting integrated into their operations and most internal IT security teams are too resource-constrained to do so. At Armor, it’s part of our everyday security operations and any intelligence the TRU team gathers is added to our database and used to strengthen the defenses of all our clients. Unlike traditional MSSPs, Armor goes beyond simple alerting to a potential problem; our SOC works with you to help investigate and respond to threats to your environment, applications, and data. Included as part of all Armor’s cloud security solutions, Armor threat hunting adds an additional layer of protection to cover your network from threats internal and external. Threat hunting adds an active dimension to cloud security instead of relying solely on static measures such as access control lists, firewalls, intrusion detection systems (IDS), intrusion prevention systems, etc. Armor threat hunting uses the latest threat intelligence developed by Armor’s TRU team. Our experts apply up-to-the-minute knowledge of the TTPs threat actors use to find IoC. Threat hunting serves as validation that your other security controls are working optimally to prevent and detect threats. The TRU team’s mission is to stay one-step ahead of threat actors. Acting as Armor’s eyes and ears, TRU vigilantly pursues emerging cyberthreats and activities, monitoring the deep and dark webs, hacker forums, and pastebin sites (among others), for indicators that any of our clients are in danger of attack. Part of the Armor SOC, TRU is a force multiplier providing advanced notice and intelligence on potential cyberthreats, while enabling our SOC teams with tactics, methods, and countermeasures—intelligence applied—that strengthen their ability to see and respond to even the most sophisticated threats. Effective threat hunting operations “assume the breach.” In other words, our TRU experts perform threat hunting with the notion that our clients have a threat operating in their environment and it’s their job to find it. This ensures that they are never complacent, always on the hunt, and maintaining an attacker’s mindset. They stay awake at night so you don’t have to. What makes Armor solutions so complete, easy and effective against today’s cyber threats? The Armor Spartan threat prevention and response platform is how Armor delivers security outcomes for our customers. 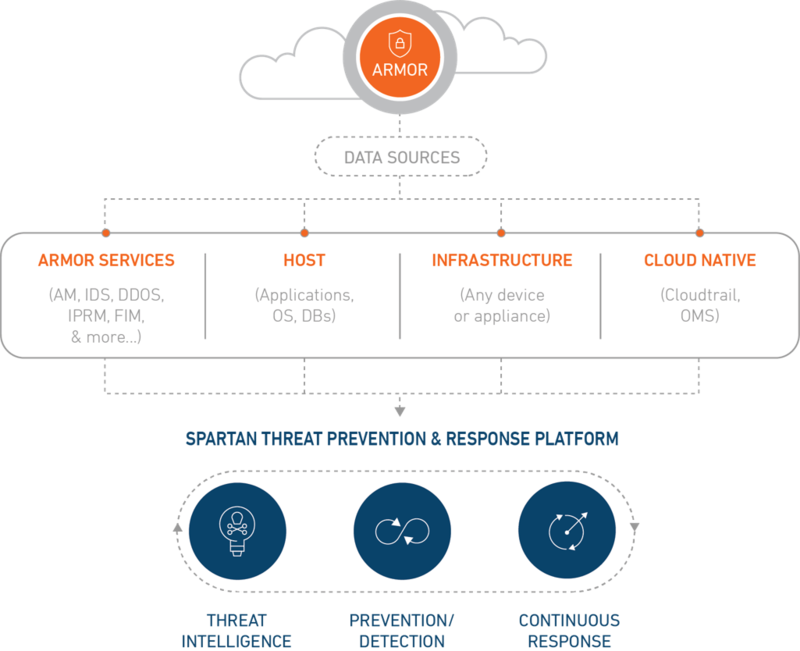 The Armor Spartan platform is purpose-built to leverage the agility and speed of the cloud, scaling up to drive new community insights against an ever-changing threat landscape as well as scaling out to provide unified visibility across an ever-changing IT landscape.